Running in Puerto Rico. 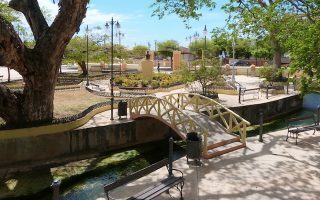 The best routes and places to run in Puero Rico. The Commonwealth of Puerto Rico is an unincorporated territory of the United States located in the northeast of the Caribbean’s Greater Antilles archipelago. 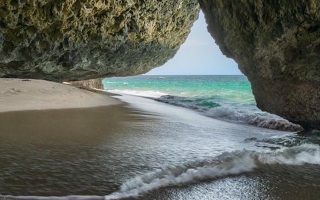 The island is a popular tourist destination, known for its scenic beaches, lush rain and cloud forests, and rich heritage that blends Taíno, Spanish, African, and American roots with various other cultures. 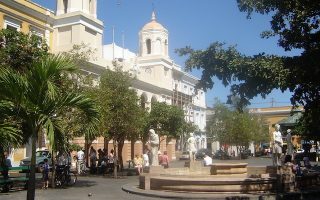 The capital city of San Juan is a thriving historic and cultural center, rich with colonial Spanish architecture and gorgeous palm-lined beaches. 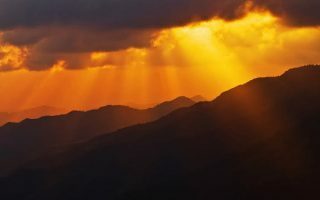 We have two guides covering the best of running in Puerto Rico: this one, covering the overall island, and a separate one focused specifically on the San Juan area. 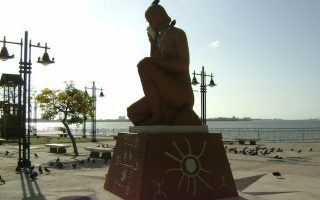 Some highlights of Puerto Rico running the various coastal paseos and malecónes (boardwalks), notably in Isla Verde, Cataño, Arecibo, Isabela, Mayagüez, and Aguadilla. We also point out the best beaches for running — long enough and with firm, packed sand. 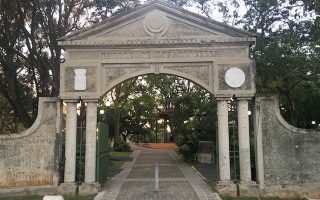 Puerto Rico also has several interior parks with running paths, such as the Paseo Lineal Río Bayamón, the Parque Nacional Julio Enrique Monagas, and Parque de Los Próceres in Mayagüez. Trail runners will find all sorts of unique terrain in El Yunque National Forest, the Cerro Gordo MTB Trail, and Survival Beach. If long-distance pavement running is more your style, the Jájome and Roosevelt Road areas are good choices. 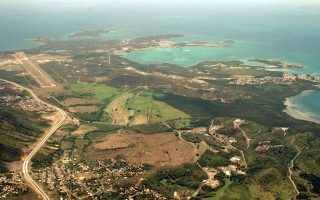 Those visiting the destination island of Vieques can find Vieques running options here. When it comes to getting around Puerto Rico, San Juan is the easiest city to travel, with walkable areas, a free trolley, and plenty of public transportation. Outside San Juan, a car is helpful, although there are some independent bus services between cities. Taxi and ride-share services are the best bet for short-distance travel in most Puerto Rican cities and towns. Notes: Puerto Rico suffered a series of devastating hurricanes in the fall of 2017. While the island is open for business and happily welcoming visitors, some routes may still be affected by storm damage. Also, be aware of the sun and heat — best to run early. 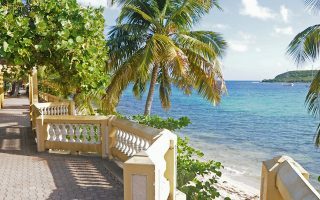 Highlights of San Juan running include two beaches, a tour of lovely Old San Juan, historic Paseo del Morro out to the Fort, and a linear path around Isla Verde. See our separate guide for all the best runs in San Juan. The best beaches for running on the island of Puerto Rico, with long distances and firm compact sand. A wonderful coastal run in Cataño, at the south end of San Juan Bay. 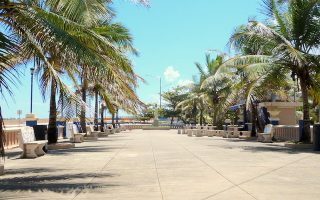 Combination boardwalk and asphalt paths make up the 1 mile long malecón along Ocean Drive. Can be extended on nearby sidewalks. A great 5k out and back. A long multi-use asphalt pathway along the river Bayamón, ending at the Ensenada de Boca Vieja (bay). Very pretty, as most of the path is through a beautifully manicured linear park. Up to 5.5 miles one-way, though options for shorter distances. 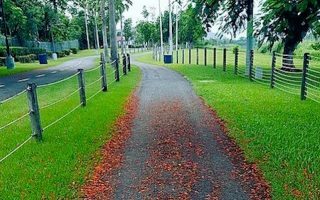 This national park in Bayamón features a good variety for running. There are easygoing, wide dirt paths that make for a good ~2 mile loop, and some additional technical singletrack trails that are more challenging. 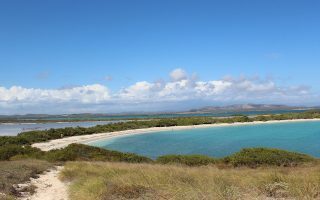 In the Cerro Gordo National Park area near Dorado, there's great running on the paths of the Cerro Gordo Mountain Bike Trail and on the firm sands of Cerro Gordo Beach. The cement walkway/boardwalk along Avenida Victor Rojas in Arecibo on Puerto Rico's northern coast offers stunning ocean views. It's nearly 2 miles between the bridge over the Río Grande to the point of Obrero. A great spot for a sunset run. 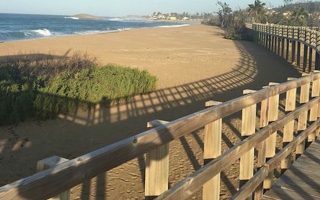 Great water views in this run between Jobos Beach and Punta Sardina, along Isabela's beaches. Combination of good shoulder on Route 466, bike lane, and Paseo Tablado de Isabela (boardwalk). Up to 8.4 miles out and back. 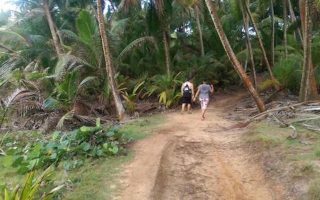 A low-key trail running spot stretches from the Villa Montana resorts to the gorgeous sands of Survival Beach. This area is in the northwest corner of the island, not far from Isabela. One of the longest and most beautiful promenades in Puerto Rico is the Paseo Real Marina de Aguadilla. 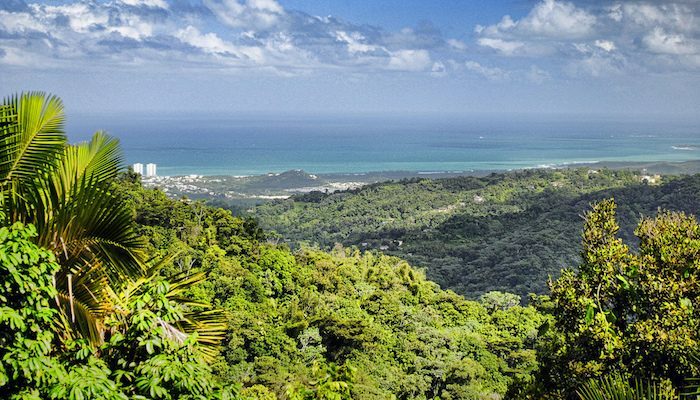 There are some nice running options in Mayagüez, on Puerto Rico's west coast. 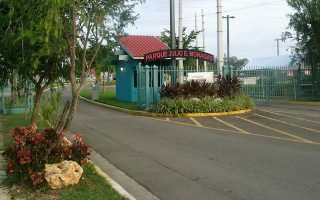 The Paseo del Litoral along the coast, the University of Puerto Rico campus, the Parque Lineal, and Parque de Los Próceres. Cool long distance running in the mountains of inland Cayey can be found in the village of Jájome, a popular local training spot. We've mapped 8.3 miles between Guayama and Cayey, along the scenic PR-15 road. Hilly! Varied running options on the destination island of Vieques. The best places include Route 200, Sun Bay, Esperanza, the Puerto Ferro Lighthouse, and Punta Arenas. Nice combination of beach, trails, quiet roads. These rural roads surrounding a former military base on Puerto Rico's east coast are mostly out-of-use, making this a great spot for a longer run on paved, untrafficked roads. Can easily put together 8+ miles. Recommended to run in groups. 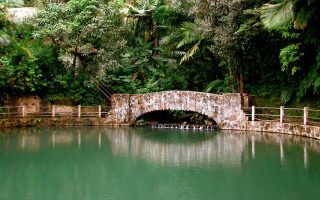 Puerto Rico’s prized national forest has many great running options, including the trails to El Yunque Peak and La Mina falls. San Juan is the largest city in Puerto Rico, but other top areas include Dorado, Rio Grande, Rincon, Culebra, Isabela, Guanica, Lajas, Fajardo, and Cobo Rojo. See DiscoverPuertoRico.com for hotel info and recommendations. En La Meta is the top running store in San Juan, but you can also find gear at Time to Run and Fit 2 Run. For group runs, check in with the Puerto Rico Running Club, the Manatí Runners, or Los Wanabí Multisport Club. MaratonesPR is a great resource for upcoming events and other info on Puerto Rico running.